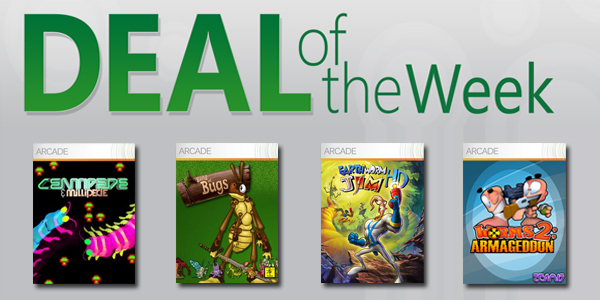 This week’s Deal of the Week discounts Serious Sam on XBLA. Those with a Gold Membership can pick up Serious Sam: The First Encounter, Serious Sam: The Second Encounter and the latest iteration Serious Sam: Before First Encounter and its multiplayer DLC packaged with the Jewel of the Nile add-on all priced at 600 MSP each. If those are a bit too serious for you then you may want to check out the Scratch & Match losing offers, which are a bit more laid back this week with Catan discounted to 400 MSP along with its two expansion packs, the Generals Expansion Pack 1 and the Mayfair Skin Pack both priced at 80 MSP. These offers are expected to last through till December 24.